There are a few golfing myths doing the rounds and here are a few common ones. Many people who do not play golf often say “But it takes a whole day to play golf”. Golf actually does not take any longer to play than another pastime. There are different ways to play golf, which will cut down on the time. 18 Holes of golf, which is the full round will probably take around four hours to play and this of course depends on the golfers. There is also the option to only play nine holes, which will take about half the time, and this means that golfers can enjoy a quick nine-hole game, which does not take hours out of their day. Playing nine holes follows the same rules, just shorter. Golf seems to have the reputation that it is only for older businessmen, but in the last few years the game has attracted a variety of players who are younger and with the different formats and locations golf is no longer considered as an older person game. 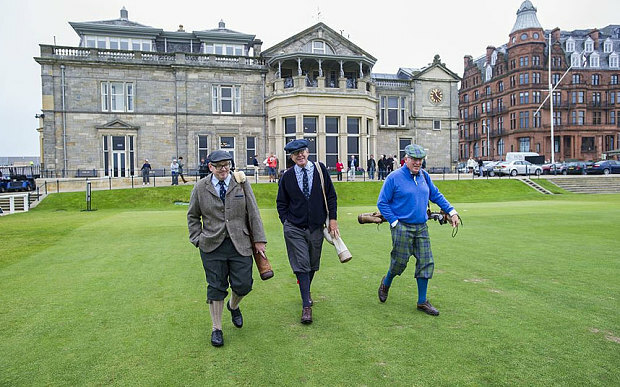 In the old days there was a very specific dress code, which was often very stuffy and uncomfortable, but with modern golf the times are changing. Golf has always been considered a game for men only, but golf is a game for everyone. Unlike other sports the handicap system of golf allows for people with different abilities to play and compete against one another. There are many great female golfers such as Laura Davies and Annika Sorenstam to name but a few. Golf can be a great social game where men and women can enjoy a game of golf and social interaction. People also think of golf as being expensive to play, but just like any other sport a person can spend as little or as much as one decides to. There are many types of options with regard to equipment and clothing to suit all budgets. Golf clubs also vary in price and a good option to consider may be second hand clubs. There are also flexible golf memberships and these do not necessarily cost a fortune. It is good to shop around for the best deal. It is thought that in order to play golf one would need to buy a set of clubs, but there are many golf centres that will provide their golfers with a set of clubs. All a player will need to do is to arrive at the centre ready to play. Most golf clubs will be willing to rent out golf clubs to players. Does Golf Keep One Fit? Many think that golf, like online bingo is not an active enough game to help keep people fit and in shape. Golf is a game that can help player’s burn unwanted calories, which in turn will reduce the risk of heart disease. There is quite a bit of walking involved, sometimes about four or five miles. Often players will walk over a 10 000 steps when playing a round of golf.